We are home today from Michigan. And oh my was it so cold there. So cold that it hurt to even go outside. I'm sorry for not updating during the week, but it was a long week. Not even in Michigan a day and Brianna starts throwing up Sunday night and is very exhausted. We had hoped it was random and just from the traveling, but by 6am Monday morning Emily wakes me up and says mommy my stomach hurts and I feel like I'm going to get sick. Poor thing, she had it pretty bad on Monday. It's horrible watching them getting sick and having no energy... Watching Emily get sick, only made me think of the chemo side effects. Brianna slept all day, as did Emily in between getting sick. Dad made the run out to the store in the cold to get us food and hopefully something that the girls would eat. We were hand washing like crazy, because dad or I didn't want to get it and just pass the cycle over again. Unfortunately dad got it yesterday too. I felt so bad that he got it too. So far mommy has been in the clear!! Clinic on Tuesday Emily ended up having a pretty long day in the clinic. Emily was needing a bolus of potassium and sodium from getting sick her electrolytes were all out of whack. She also needed platelets since they were 23. Hemoglobin had also dropped a little bit from the week before too. 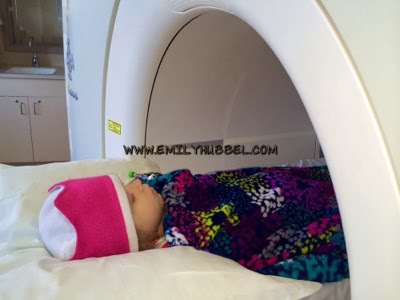 Emily handled her MIBG scan on Wednesday pretty well, just had a hard time laying there completely still for a little over an hour. She said it was making her head hurt, but she did it and we are always so proud of her. It's always amazing watching her and how she handles this. 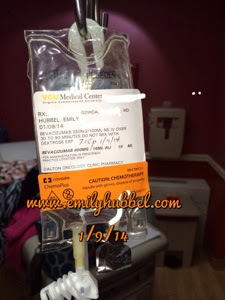 Emily was on a low carb diet in preparation for her PET scan the next day. She really had a hard time with it, because she likes to eat bread and lately her organic hot chocolate. 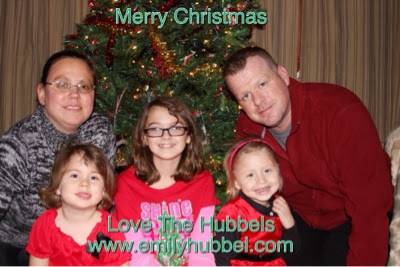 By Wednesday night, we had made dinner and Emily's face was pale and she was saying she didn't feel good. Thursday Emily had her PET, and true Emily style, it always turn out there is always something. 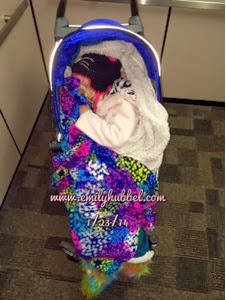 We walked over to the PET scan (daddy was completely exhausted and feeling horrible yesterday) and Emily was very lethargic. She couldn't hold her head up and couldn't keep her eyes open, her body was very floppy, it was kind of scary. The nurse checked her glucose and Emily's glucose was critically low she said. She said it was too dangerous to do the scan right then and that Emily needed to drink all of her apple juice and come back at noon. She drink it all and thankfully by noon, she was starting to come around. Her glucose level was just a bit under, but enough to get her scan. 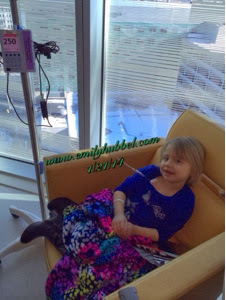 Emily did well waiting the hour from when the glucose was injected until aft her scan. Finally by 2 she could eat. Dad still didn't feel well by time we had to meet with Dr Sholler, but he made it to meet with her. Thankfully today daddy is starting to feel better but still under the weather. I know everyone is waiting to hear results and at this time they remain STABLE with no change. We are happy with stable, but honestly we always continue to hope for more. We know it would kick her off the Texas trial if she were to become clear, but we still want to hear those words for our girl. Neuroblastoma is a beast and it can come back with a vengeance and we know this, so we keep hitting it. We keep on keeping on. But honestly, over 3 years of fighting a disease that has progressed twice during treatment, we only hope to hear those three words, and that one day we can put her on the DFMO to keep her clear. But we are not there. Dr Sholler said, "There is certainly still disease there, but keep doing whatever you are doing because it is keeping it stable." The hope with these new medicines is that they keep her stable obviously, but also help her platelets back up so that she can be ready for the Texas trial when they are ready for her. We know it can supress the bone marrow resulting In her ANC and WBC dropping but shouldn't effect her platelets. 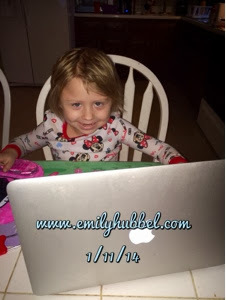 We do know every child is different with side effects, so hopefully Emily does well with it. Texas has everything that they need, Emilys bloodwork and all the paperwork. 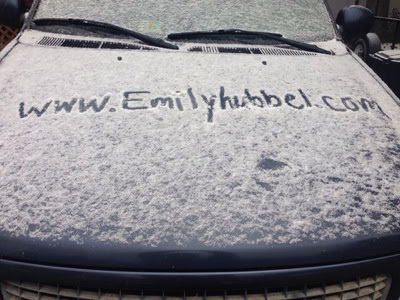 I heard from one of the doctors in Texas and it looks like that may not be ready for Emily until May or June. Anyone that lives out in that area, we are looking for the closest campground to Texas children's, if you know of any. We are wanting to get prepared. So we continue to wait to get into this trial and we hope that the metronomics does what we intend for it to do. 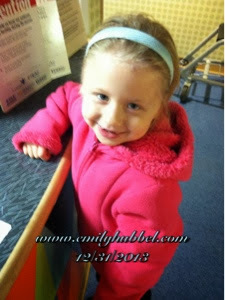 I will be honest though, with the new treatment plan, and removing Emily from the Avastin, I'm nervous, we are nervous. We can't ever go back to avastin, so it makes it hard because you just don't know what treatment will work. There is no guarantee that anything works, so we really don't know if this will work. All we can do is HOPE! We also know she takes tumuric on a daily basis and one of the new medications she will have to stop the tumuric because it will cancel out that chemo. 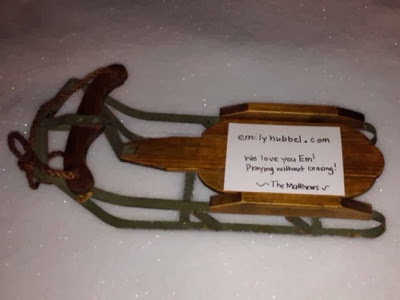 Thank you all for your #snowpics showing your support to Emily and continuing to follow Emilys journey and being there along with us as we travel this road. Make sure you hug and kiss your kids and tell them how much you love them, no one can guarantee tomorrow! Just a few photos that you all sent in, seriously they were awesome and really meant a lot to us. thank you!! 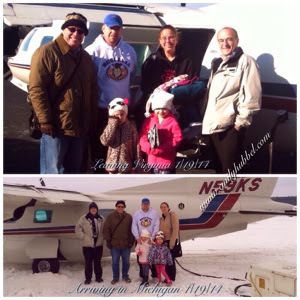 Thank you so much to Wings of Mercy, Inc. who was able to help us with a flight to Michigan last minute. We made it to Michigan yesterday, and appointments start tomorrow. Please continue to send love and light, thoughts and prayers as Emily goes into scans this week. Emily's 6 tubes of blood have been sent over to Texas and they received them this past Friday, so they can begin to work on the Tcell. 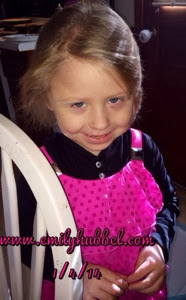 We hope to hear soon of an approximate date that they will be ready for Emily. We are hopeful for stable or better! We received confirmation late yesterday of scans being scheduled, so now that we have dates, scanxiety is starting to set in. 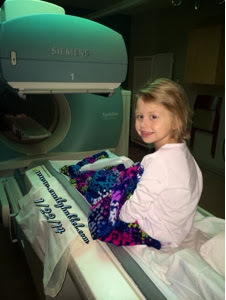 We will be in Michigan a little longer this time since we have added a PET/CT scan into the mix. This should give us a little more information and what we are messing with. 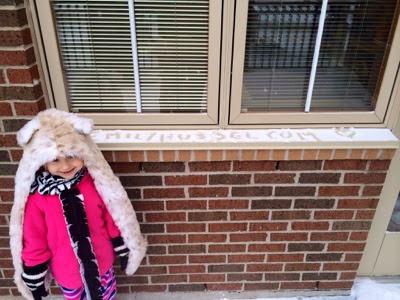 We have already scheduled Renucci House, so thankfully that is taken care of. Here are the dates, so I know many of you like to know what's happening, so you know how to send out your love and thoughts on those days. 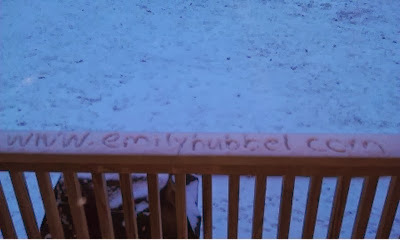 And when you can wear your Emily Gear. We have been spending a lot of time reading on the T Cell and all that is involved. Searching and reading. If any of the parents that have already gone through this read this, I would love to speak with you. Even though we had our phone consult it is always so much better hearing from others what they went through and the side effects that their children went through. Thank you would love to hear from you. Although we feel really good about this promising trial, we are still looking into other trials at St Jude and other locations. We always keep an open mind. But the hope is that since this is something new that she has never had that it works. Just a quick update of where things are and scans being scheduled. We did keep Emily home from school yesterday because of her nosebleeds. She ended up having one yesterday morning, but hasn't had one since. So we hope it stays that way for the rest of the weekend. Have a good Saturday. It's a rainy day here, so we are being lazy, but enjoying time together. Emily had clinic yesterday with dad, while mommy had an eye appointment. She was in there for quite a few hours for one because they were so busy and for two because her platelets dropped from 29 on Tuesday to 17 yesterday. So she needed platelets. We have this running joke that everytime daddy takes Emily to clinic she doesn't need platelets and then when I do, she always does. So the running joke was broken yesterday, lol. Everything else looked ok and she finished her chemo Thursday night. She will complete this trial on day 15 (although it is 28 day trial) next Thursday, January 9th. Michigan said they are working on trying to get scans during the week of the 20th, however we have no confirmation yet because they are working on insurance approvals. We asked that it be done as quick as possible as we hope to get Wings of Mercy to work with us, but lately they haven't had pilots that can work long distances anymore which has caused us to drive. So we have a feeling we will have to drive, so if anyone wants to help, because they are always asking sending some gas cards, because They are a huge help to us in more ways than you can imagine. Dad and I were talking because this round regiment was round 12 of the avastin trial (total of 26 rounds of chemo she has had all together so far) and she is done with this trial after day 15. We had not gotten a lot of response from Houston, so I was going to make the call Monday morning to get things rolling. Funny story, I checked my email last night and received an email from Houston saying since Emily had already received a few rounds of Ch14.18/IL2 that we needed to make sure she wasn't HAMA positive. Dr Heczey from Houston who works with Dr Louis called last night and we had a long talk with him about the treatment plan. It's a different route to treatment, and something that Emily has never had and he thinks it may be beneficial to Emily to try. The downfall, the FDA only allows a new patient on this trial every 3 weeks and to start it every 6. So right now, we need to find out if she is HAMA positive and they will talk with Dr Gowda to make sure she didn't have any allergic reactions to the antibody treatment she did have. Currently there have only been 2 patients on this trial and others standing behind to get in. He said possibly could be ready in April/May but not to hold his word on that. What does this trial require? 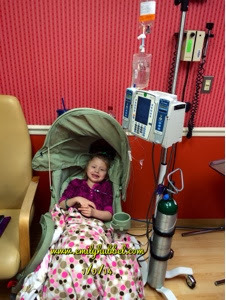 Emilys platelets need to be 20 so I think she will be ok there and her ANC 500 and we have not seen a low ANC in awhile. 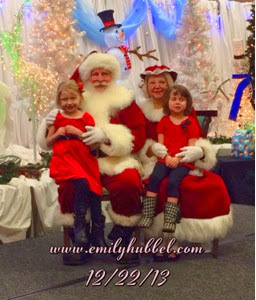 Emily would go to Houston when they are ready for her and have a full work up of scans (MIBG, CT and whatever other scans and bone morrow biopsy). She would get the transfusion of the T cells after the results of scans and stay in clinic in Texas that day for most of the day. She will be released but has to stay in Texas 4-6 weeks after the transfusion. There are many side effects much like the antibody treatment, but some different and they know how to treat them. Pain is associated with this treatment, fevers, flu like symptoms, so it could call for inpatient stays at Texas children's. We were not aware of the 4-6 weeks stay, so we know we will have to work that out how dad and I will take care of that and also work out where Emily will stay. Like dad and I feel she needs to be comfortable being away from home and school, so the camper would be the most likely thing so she can also have her dog. Obviously once we can accept the trial and know more, we will let you know all, because we are sure some help may be needed either at home or with travel wise. 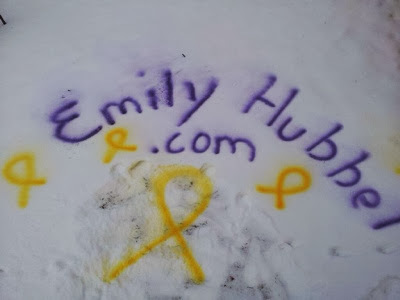 Right now this is all we know, but feel this is a good really thing for Emily to move forward with so we are working to get this started to we can have dates and know more. After the 6 weeks, Emily will need to have a work up of scans again like she did before and see how effective the treatment was. We did ask the doctor last night what he thought we should do in the interim while waiting for this trial. He agreed that high dose chemo hasn't really worked for Emily in the past and that only would need that if she had aggressive progression. (But he did state this was his opinion, but that he could also talk with dr Gowda about it) Progression is obviously what we hope doesn't happen or if this trial doesn't work either. We told him that DR Gowda offered us metronomics trial (which has low dose chemo pills, and some other pills that she would take) to keep her stable and give her bone marrow a break. Dr. Heczey thought that may be a good regimen to do while waiting for the trial in Texas. However we will see since we have scans in a few weeks ( once again no dates have been told to us yet) and we are also asking for a PET scan while we are in Michigan as well, not sure if Bone Marrow will need to be done yet either, but. At least we have a plan and we are working toward that plan. We will continue to keep you all updated, this all was talked about last night, and it was nice to talk with the doctor in Texas and he was great, answering all of our questions, talked with me and also talked with Doug. By the way we have over 3000 boxes of band aids. And without your help this would have never happened!!! You guys are amazing. We will have a total tally soon of the number of boxes and pictures soon but this was an awesome project and we have another project coming up that we would like your help with, but just need to work something's out. This one will be a little bit easier for many others too help with. We continue to thank you all for your love, thoughts, prayers and help as we continue to move on with this journey. We never would be where we are today without all of your love, thoughts and prayers so we thank you so much.